Pain can be a formidable force, not only to physical function but also to overall quality of life. When your pain interferes with your concentration, makes everyday tasks impossible, ruins your sleep or affects your mood, you need to find answers that address the underlying cause of that pain -- not just the surface symptoms. Here at Beverly Hills Comprehensive Medical Group, our chiropractor can provide safe, drug-free pain relief or pain management options to help you enjoy life again. The ability to experience pain is actually an invaluable survival trait. Pain signals relayed through the nervous system alerts you to a physical problem and discourages you from using a damaged part of the body. But there are two main types of pain that you may encounter: acute and chronic pain. Acute pain generally occurs in direct response to a sudden injury such as an acute sprain, strain, or dislocation. For instance, you might experience acute spinal pain due to whiplash, a workplace injury, or an auto accident injury. While acute pain can be extraordinarily intense, it can also be completely resolved through treatments that allow the injury itself to heal and the body part to return to normal. By contrast, chronic pain lingers, causing constant or intermittent discomfort, in association with an underlying condition that either cannot be healed or never gets a chance to heal. 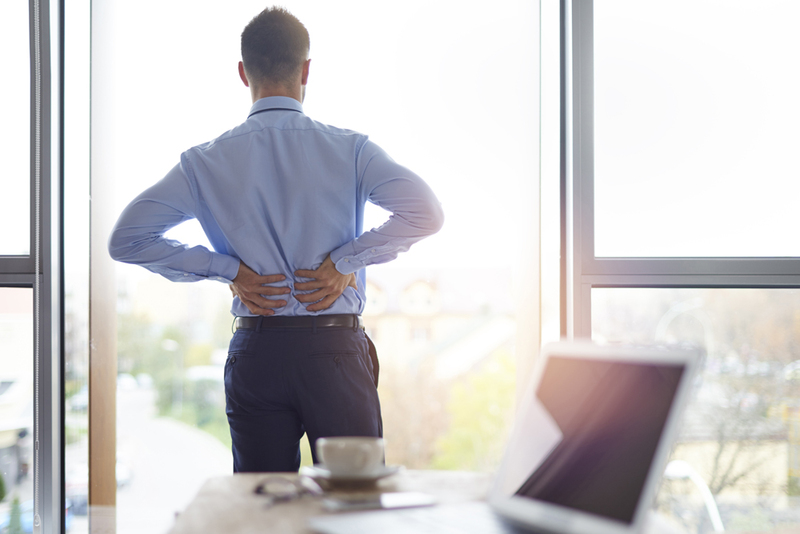 Examples of chronic pain problems include osteoarthritis, sciatica, cervical radiculopathy (upper extremity pain), repetitive strain injuries in the joints, and systemic syndromes such as fibromyalgia. Many people instinctively turn to drugs to deal with their pain -- only to discover that those drugs offer only temporary and incomplete relief for chronic discomfort. Our Beverly Hills chiropractor works in conjunction with our other practitioners to come up with the most effective and sensible pain management solutions for your needs. In many cases, chiropractic adjustments, spinal decompression, or primary medical care can promote complete healing of a painful condition. If you suffer from chronic pain, chiropractic adjustment, massage, and physical therapy can make a powerful treatment combination, increasing your comfortable range of motion while lending strength to easily-strained soft tissues. You may even benefit from a medically-supervised weight loss plan to take painful stress off of weight-bearing joints. Life is too short to spend yours in pain. Take action to give your body what it needs by calling Beverly Hills Comprehensive Medical Group at 310-657-0366. We can put a stop to pain!